What happens when you take exquisite ancient clothing traditions and mix them with modern style? Magic, that’s what! Modern Indian designers create a wide range of clothing starting from spectacular wedding dresses and Bollywood-esque garments and ending with modern minimalist looks and ready-to-wear apparel. 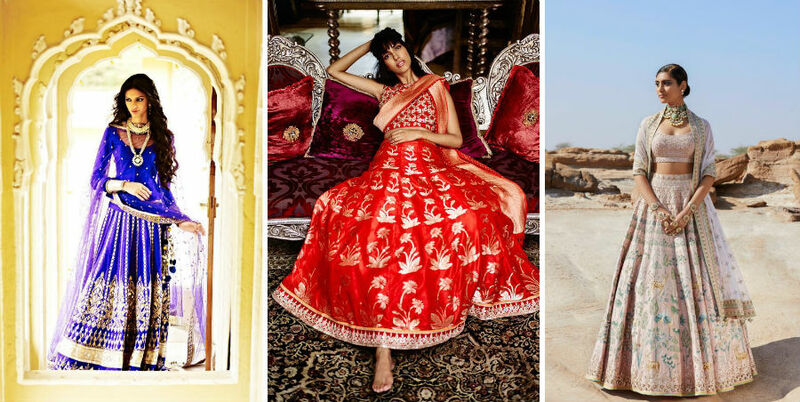 Without further ado we present 10 modern Indian fashion designers you should know about. If you’ve seen at least one Bollywood celeb wedding this means you’ve already seen one of Sabyasachi’s creations. Most popular for his exquisite bridal wear, Sabyasachi creates spectacular traditional and modern garments for celebrities all over the world. Anita is all about dreaming big, that’s why one day she moved from Jaipur to Mumbai, rented a room, and built a successful business from scratch having only two sewing machines. Now she dresses celebrities like the Duchess of Cambridge, has four labels, and produces elegant designs for a wide range of customers. Ritu Kumar is one of the biggest contributors to the fashion industry of India. Being in the biz for more than 40 years, she’s experienced her ups and downs and developed a style like no other. She took it upon herself to bring centuries-old traditions to the modern world and present them to the next generation. Manish Arora’s designs are unlike anything you’ve ever seen. He fuses Eastern motifs with playful contemporary designs, creating a unique fun style that caters to anyone who’s not afraid to stand out. His clothing is truly one-of-a-kind, recognized not only in India, but all over the world. Payal Singhal is all about new trends that look fresh, stylish and edgy. Her take on Indian wear is bold and caters to the younger audience that wants to try new looks that are more out there, rather than focus on traditional style only. She has her signature style and you’ll never forget it once you see it! If you think India and Japan are an impossible mix, well, think again! Priyanka Ella Lorena Lama is an upcoming designer and artist whose roots lie deeply in minimalism and Japanese Wabi-Sabi philosophy. Looking at her clothes it’s hard to tell where exactly they come from. This is pure elegance! Kanika Goyal is yet another up-and-coming designer who is loved for her cutting-edge aesthetics and experiments with style and form. She mixes urban chic with Indian elegance, defining her own style as ‘provocative minimalism’. These two brothers have been creating fashion for around two decades together, delivering beautiful drapes, chic designs, and sweet bridal dresses to the younger audience in need of fresh and trendy clothing. They are treating fashion as an art form no matter what they create – everyday wear, bridal, or haute couture. Archana Rao is all about subtlety and elegance. She’s famous for her unique silhouettes and beautiful experiments with dress shapes. She likes to incorporate new elements and spectacular ombre effects, working on small details and perfecting her exquisite style. If you were wondering who’s dressing up all those gorgeous Bollywood characters – meet Manish Malhotra, a designer mainly known for his movie looks. He’s equally talented when it comes to creating beautiful looks for movie characters and celebs in real life. His main focus is on traditional style with a hint of modernity.